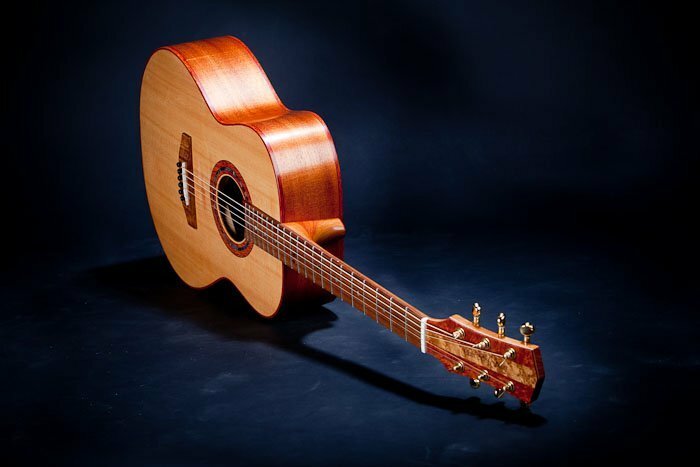 If you’re serious about playing guitar or you just love a nice well made instrument, there are a number of reasons why you’ll be miles ahead with a custom hand made guitar crafted by an experienced guitar maker/luthier. Let’s start with the fact that from the get go, it’s a personal experience. You start with talking to your guitar builder about the choice of tonewood and what sort of sound to expect with the different timbers. One timber will give you a warm mellow sound and another a brighter sound or in combination with yet another timber you can get a completely different sound again. 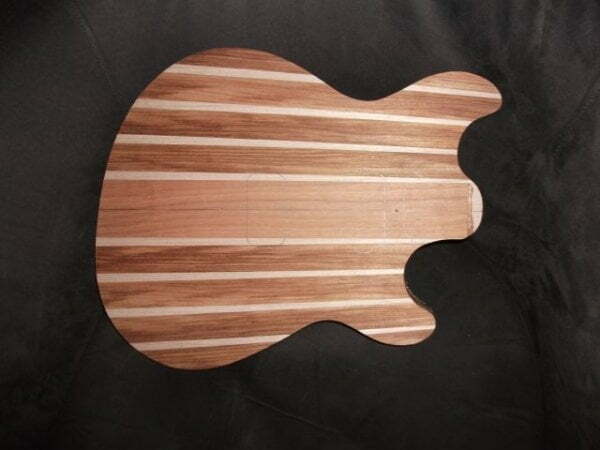 In addition to this your luthier can also adjust the sound and tone to your liking, shaving a bit off a brace here or thickening the timber there using his experience to arrive at the desired outcome. 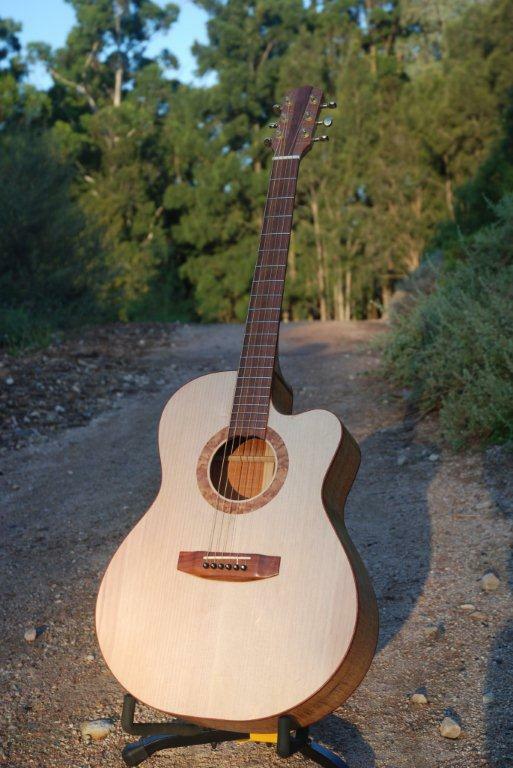 Your luthier will also custom make your guitar to suit your hands so that it fits you and your playing style. 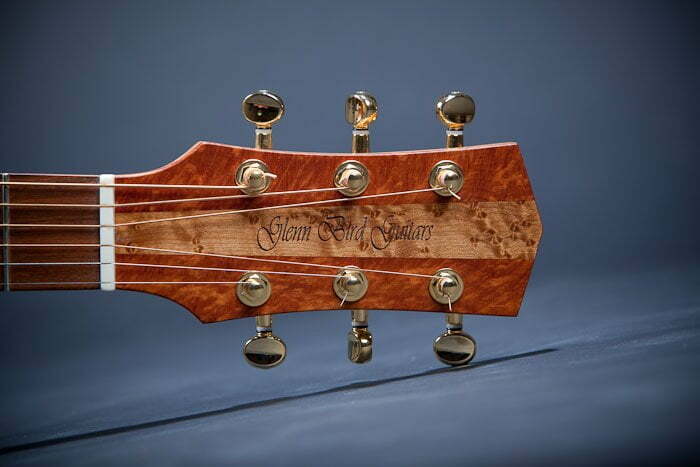 You can also have the appointments on your guitar just the way you want them such as purfling, bindings, rosettes and other inlays to really give your guitar its own personalised look. These are just some off the things a luthier does that simply don’t happen in a guitar factory that churns out hundreds of guitars each week. Luthiers on the other hand are passionate about their work and take the necessary time to get every part of the guitar making process absolutely right. 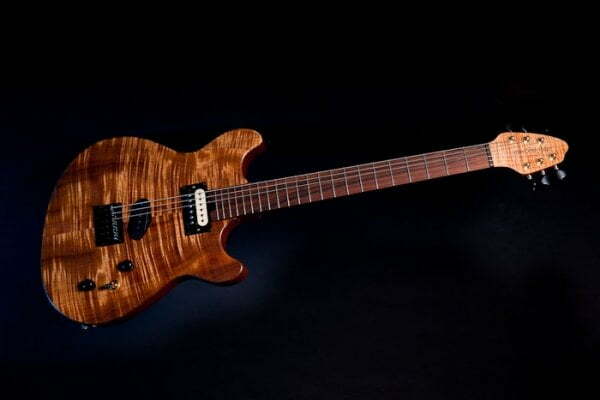 They are careful to make sure they get to know exactly what their customers are looking for, placing a high priority on meeting and exceeding each customer’s needs in order to produce unique hand made guitars to love, own and play. For Sale: Selling for a great price, Please call the luthier Glenn Bird on 0418476272 to ask about this Guitar and the special price. 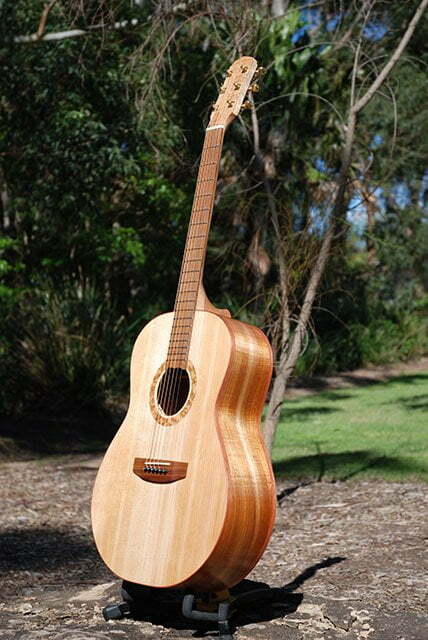 Here is one of my GR3 electric guitars, custom made for a West Australian guitarist. 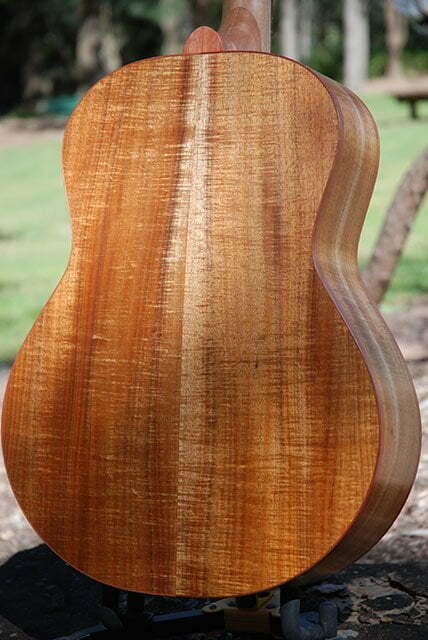 Look at that fiddleback blackwood pop! 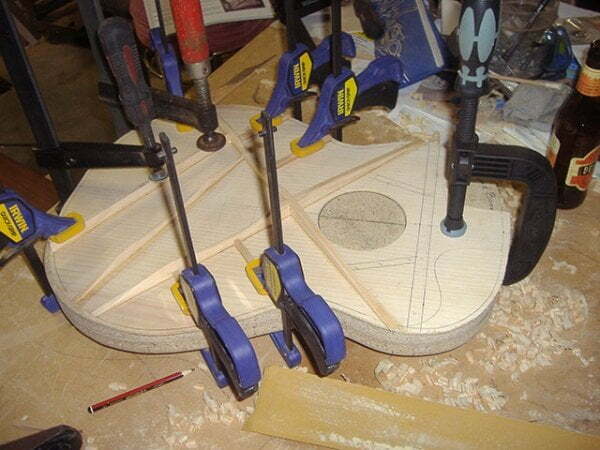 Here at Glenn Bird Guitars we are careful to make sure the guitar fits the player. Here’s one I made for music producer and studio session musician Tim Dutton, and just like any other of our guitars it had to be just right. Sometimes you get to meet some really great people! 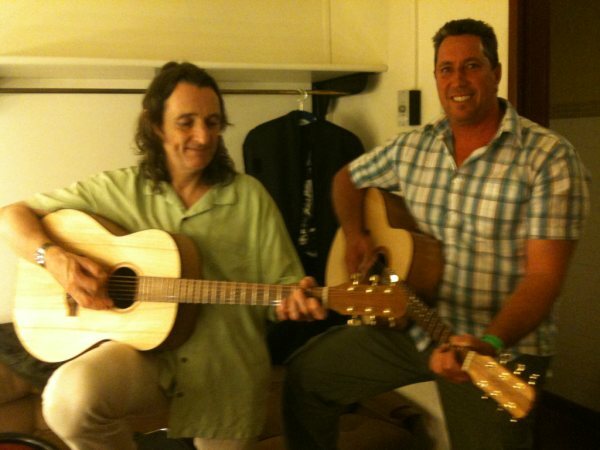 I was lucky enough to meet a real Gentleman of Rock and Roll, none other than Roger Hodgson of Supertramp fame. I was also able to let him try out some of my hand made acoustic guitars. He was so impressed he wanted me to make him a twelve stringer, so I made him my Jumbo Belle twelve string model. We only use the best timbers available, each set is hand selected by the luthier. We are always trying to do things a little better every day. 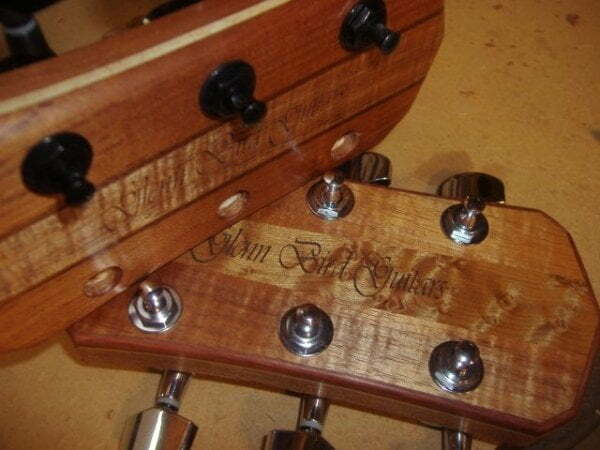 Here’s an example of some of our new headstock designs.